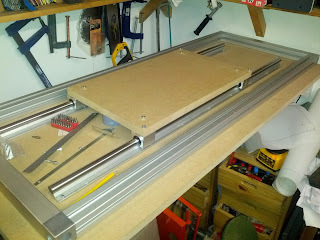 I started work on my CNC router over the weekend. It's a moving bed design with an aluminium frame fitted to a 25mm base of MDF. 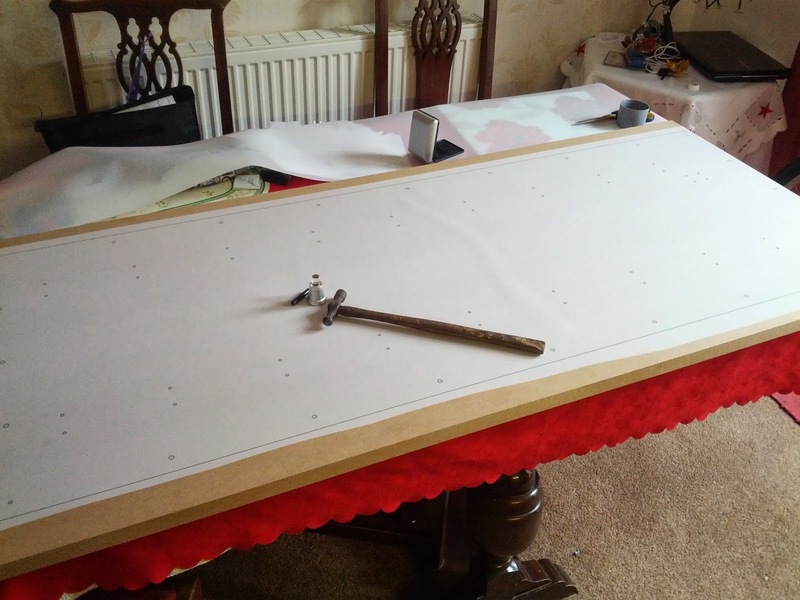 To get the holes for mounting the linear rails and extrusion I printed a huge 1500x600mm 1:1 print of the CAD drawing of the base onto vellum. This was then stuck to the MDF with spray mount. I used my optical centre punch to get the holes centred. These are fantastic. 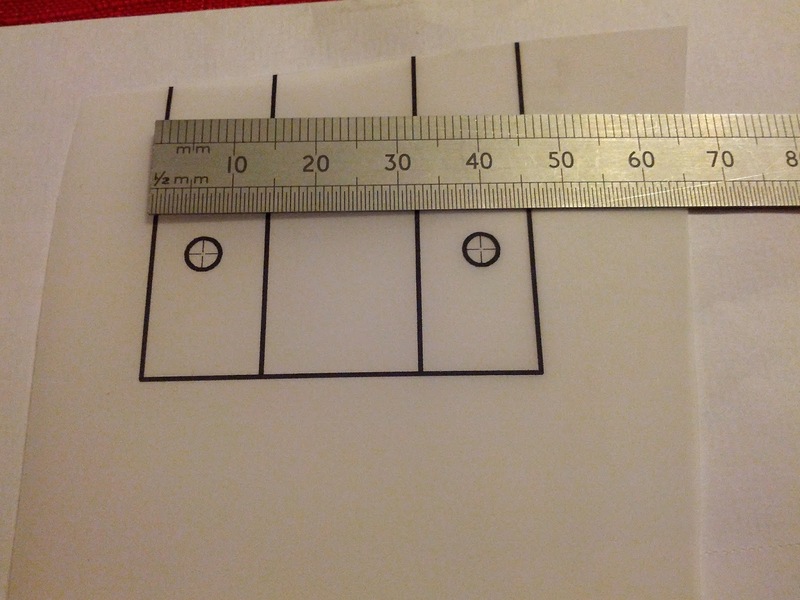 Here is a 1:1 print of the mounting holes at the end of one on the linear rails. The holes are M4. 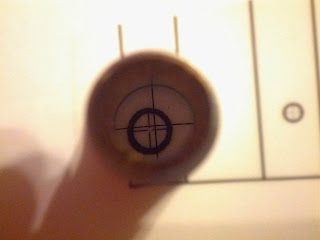 It's easy to see how accurately the holes can be positioned when using a tool like this. The one I use is from Dankroy Ltd. Here is the base made up with a piece of MDF used for the moving bed. 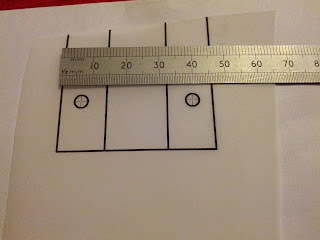 Once I'm happy with the layout I'm going to drill some 15mm aluminium plate for the bed itself.